I was flipping through my Facebook feed when I happened upon a blog post from a fellow writer. 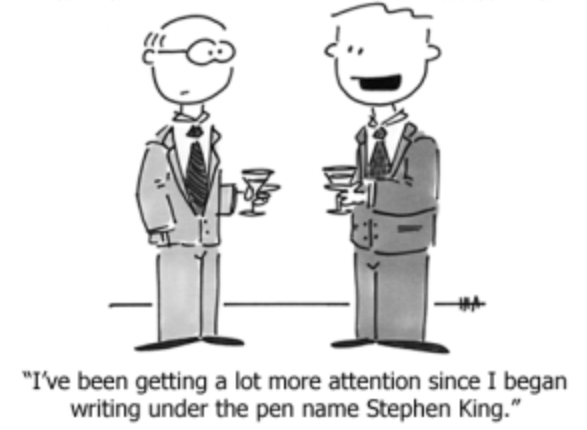 She had brought up the topic of a pseudonym, or a nom de plume. 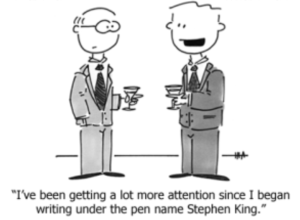 She brought to mind many reasons why a writer might want to change the name they would publish under. It was an interesting read. Of course it made me think. I thought it would be fun to search my name on Barnes & Noble’s website. Imagine my dismay when I find my name has already published several books. My name is not original. I had always planned to publish under my name because I wanted credit for my work. I wanted people to know that the words on the page they read were mine. Yet someone else has already taken the credit for my name. Thus begins the great debate in my mind, should I alter my name or stick with this one and hope to make it truly my own. The possibilities of what my name could become are infinite. How do I chose a name. It could be a combination of my name, with or without my middle name. I could use my mother’s maiden name. Or my grandmother’s maiden name. I mean pick an ancestor and their name could become my own. But those name combinations look to the past. We need to know where we’ve been to know where we’re going, but the past doesn’t look to the future. I could wait and see what my name will become as many women change their names when they get married, but whose to say when that will be. I could take full control and change my name to something entirely new. That could be fun. The joy of invention. To put my full creative powers to work. Yet I find myself reluctant to choose a made up name. It lacks history or meaning. It would not be mine name it would be a name. There are so many options and I thank you for listening to me as I think out loud. I don’t know when I’ll have to make this decision. I’m not published yet, but God willing I will be published one day soon. As my readers may know I have been working towards a goal to get a my writing published. This is the ultimate challenge for a writer. Although we write because we can’t imagine doing anything else, to be published is to be validated. 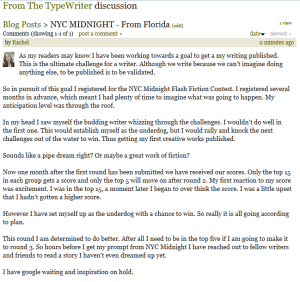 So in pursuit of this goal I registered for the NYC Midnight Flash Fiction Contest. I regi stered several months in advance, which meant I had plenty of time to imagine what was going to happen. My anticipation level was through the roof. In my head I saw myself the budding writer whizzing through the challenges. I wouldn’t do well in the first one. This would establish myself as the underdog, but I would rally and knock the next challenges out of the water to win. Thus getting my first creative works published. Sounds like a pipe dream right? Or maybe a great work of fiction? Now one month after the first round has been submitted we have received our scores. Only the top 15 in each group gets a score and only the top 5 will move on after round 2. My first reaction to my score was excitement. I was in the top 15, a moment later I began to over think the score. I was a little upset that I hadn’t gotten a higher score. However I have set myself up as the underdog with a chance to win. So really it is all going according to plan. This round I am determined to do better. After all I need to be in the top five if I am going to make it to round 3. 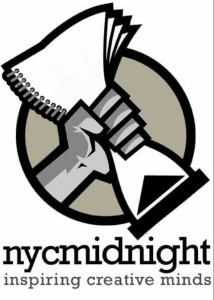 So hours before I get my prompt from NYC Midnight I have reached out to fellow writers and friends to read a story I haven’t even dreamed up yet. I have google waiting and inspiration on hold. 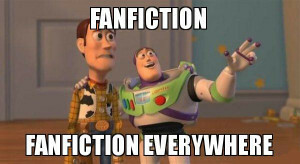 Fan-fiction is for fun. 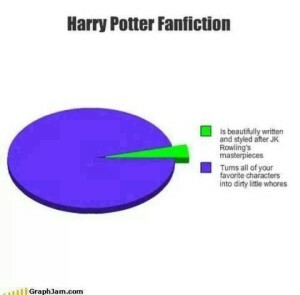 Many people enjoy writing fan-fiction. These people have fallen in love with a story or series and do not want it to end when they’ve turned the last page of the last chapter. 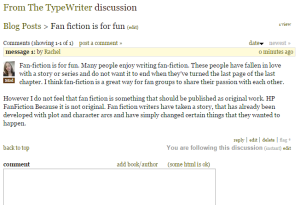 I think fan-fiction is a great way for fan groups to share their passion wit h each other. However I do not feel that fan fiction is something that should be published as original work.Because it is not original. Fan fiction writers have taken a story, that has already been developed with plot and character arcs and have simply changed certain things that they wanted to happen. As a writer I imagine it is flattering to go online and find groups of people who love your story so much that they are keeping it alive with their own spin offs. As a writer myself I know what it takes to write an original work. For someone to come along and take that story and simply change it and pass it off as their own. This is presumptuous. You are must think that you are a better writer or editor than someone who has published a bestseller at a publishing house with a team of professional editors. It can also be frustrating to sit in a Writing Workshop class listening to someone read their Pokemon fan-fiction. I am not part of that fan group so I struggled to follow her story. Afterwards I discovered the only change that she had made was to give a sec ondary character a girl friend. I understand your passion for that particular story and your desire to share that. I have this passion myself that I have expressed through different outlets. It feels good to share that obsession with people who also feel it. I think it would be beneficial to share it with like minded people. Not with a group who may or may not be able to follow along. 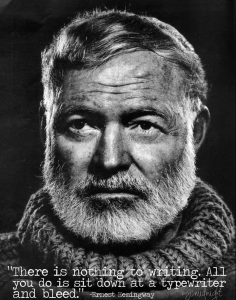 I do think there are many benefits for writers to copy their favorite writers as a learning technique. It allows them to practice skills until their own voice breaks through. Once their own style emerges they often find they are writing original material. I know that this post will not make me many friends but I will always share my honest opinion.